From sweet-tart gin slings to super-refreshing iced tea, here are seven amazing cherry drinks to make this season. Homemade sour-cherry syrup stars in this sweet-tart cocktail. Four ingredients plus ice is all you need for this simple cherry cocktail. This refreshing iced tea is great for a summer party. 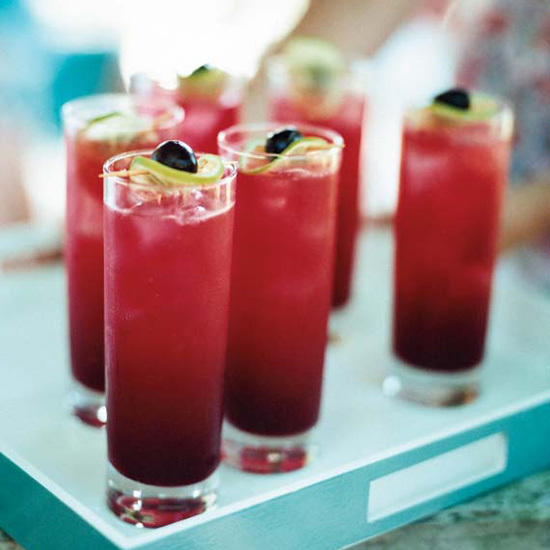 Fresh cherry juice blended with gin, bitters and a touch of sparkling wine make this the ultimate summer drink. Classic American flavors like Big Red chewing gum and Cherry Coke inspired this vibrant cocktail. Yuzu juice (from the Japanese citrus fruit) adds tangy flavor to this sweet cherry drink. Mixologist Julie Reiner amps up the amount of sour cherry puree and fresh lemon juice to give this virgin beverage its "alcoholic tartness."